If you’ve clicked on this page, I’m pretty sure that you have watched the most popular Taiwan movie of the year – 我的少女时代 (Our Times). Do note that if you have not watched the movie, there might be spoilers in this entry so do read on with caution. Unlike most overly-hyped movie which turns out to be overrated, this highly anticipated movie did not fail my expectations. It has a fair share of heart-wrenching moments, jokes and there will be at least a moment in the movie where you can certainly relate to. This was also a movie which made me think back about various scenes when I read shared articles talking about memorable quotes and scenes. I know of many friends who re-watched the movie twice because they simply love it too much.. This movie is predominantly filmed in Taipei and Hsinchu City 新竹 (approximately an hour’s drive away). I will elaborate on the more significant places of the movie. 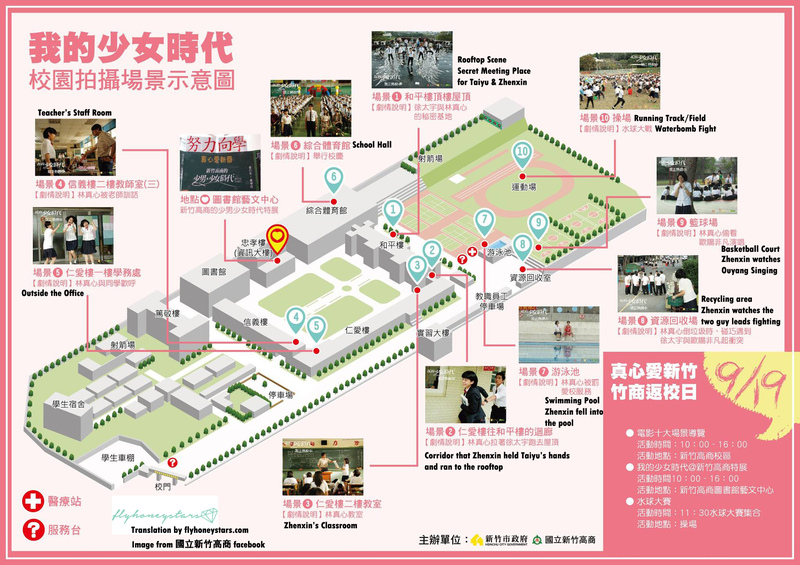 Transport: Take bus 1 from Hsinchu Railway Station 新竹火车站 and alight at the bus stop opposite the school. There were many memorable scenes from the classroom, the bookshop, the corridor, the running track, the swimming pool and most importantly their secret hangout place – the rooftop. The best part is that the school even provided a map on their facebook page for eager fans to visit. I’ve done some translation for our non-chinese fans. Let’s recall some of the scenes with some photos that I’ve found online (Photo Cr: http://littlesourj.blogspot.sg/2015/08/20150809.html) from an alumni student re-visiting her school after the movie together with the screenshots that I’ve taken from the title song 小幸运 sang by Hebe and some behind the scenes interview footage that I found on Youtube. Please credit me if you plan to retrieve information from this entry. I’ve spent a lot of effort in putting this together. 1.Rooftop Scene – secret hangout place between Zhenxin and Taiyu. 5. Staff Office – where Taiyu is usually getting scolded. 7. Swimming Pool scene – where she got punished to clean and ended up seeing Ouyang and Minmin and jumped into the water to hide herself and Taiyu came to her rescue..
8. 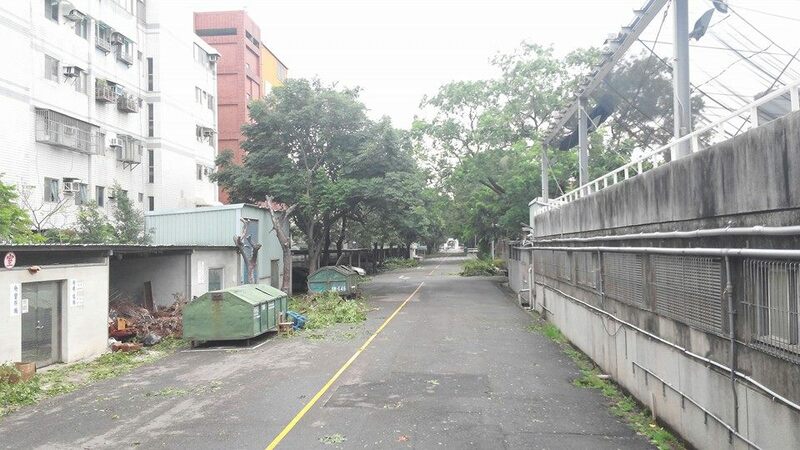 This is the alley that Taiyu and Ouyang first fought; also known as the recycling area. 9. 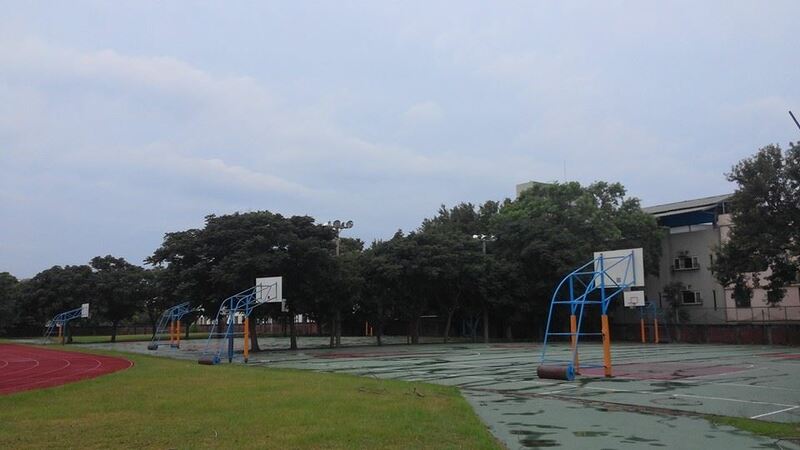 Here’s the basketball court where Ouyang played basketball and the starting scene whereby Zhenxin was gushing over Ouyang playing the guitar. 10. 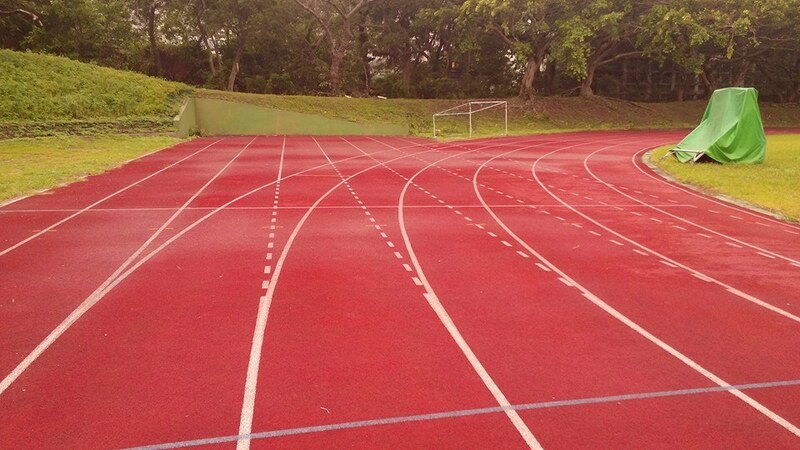 Running track where Taiyu ran until he fainted. Do note that it is a real shop selling Bubble Red Tea and food. Anyway, this place is known as MTV if I’m not wrong it is like a Movie TV room whereby you can rent movies and watch in a private room. They don’t have such places in Singapore but it is quite a popular concept in Korea and some rooms are just like square boxes. If you are wondering, the scene was filmed in room T15. Yes this place is a real indoor roller skating rink which is still in operation today. However, the scene that you see in the movie has been deliberately dress up to look like back in the 90s. Visiting it now will look something like below. Here’s a map I marked out in case you want to have a gauge of how far the places are..
That’s the end of my filming locations entry for 我的少女时代 Our Times movie. I hope I did not miss out on any significant locations and do let me know if there’s anywhere that I’ve missed out. If you’re retrieving any information or re-posting this information to another place, do remember to do a courtesy link back to mine or the other websites that I’ve retrieved information from. Ending off with the favourite quote of the movie. The school is not too difficult to find. Unfortunately, the security guard did not allow me to enter the school itself, despite much effort to express keen interest over the movie and minimise disruptive behaviour. Prior to this, a call was made to the school (many thanks to the lady boss of my hostel) and she was told that unfortunately doing weekdays is not possible as the students would still have classes. 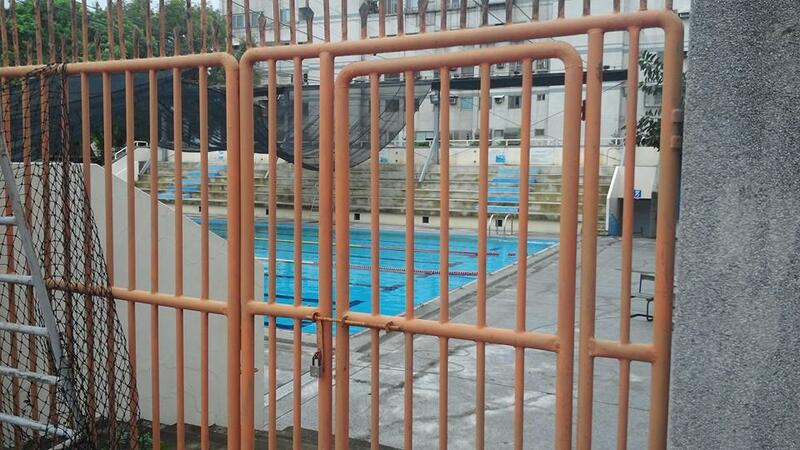 She was told that weekends might be possible if there are no school activities (which really depends on the school). She was also told that most of the props that were set up for the movie were being torn down. I only managed to take a picture of the school from the outside. You might want to call the school prior to coming down. The record store (as per in the movie) does not exist. It is currently taken over by a bar. It was not opened at point of visiting (around 4pm). The bridge is very nearby and accessible. Just beware of traffic. A big signboard with the filming sites of the movie is located on the other side of the bridge. Actual name of shop is 春大地書局 （full name 春大地文具圖書有限公司). 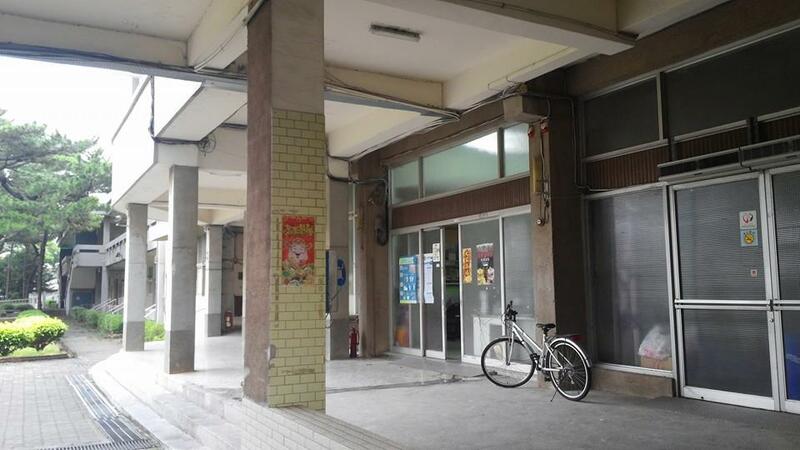 Walking distance from Sanmin Senior High School MRT station (捷運三民高中站). Opposite a school, located in somewhat part of a ring road. The exterior of the shop looks somewhat the same as in the movie. Only parts of the interior looks the same. The bookshop has 3-4 levels selling stationeries and books. Think of it as your neighbourhood stationery store. A local night market is located nearby. The boss and lady boss (I assume a couple) were very, very nice. Very welcoming and were happy that I came all the way from Singapore just to visit the cafe. In fact, they mentioned to me that a tour group from Malaysia and Singapore, consisting of 600 fans (yes, no kidding) came to the cafe during the past few days to pay them a visit. I was not able to see the table with the inscriptions, as there was a group sitting at that table throughout my 1 hour plus at the cafe. Nonetheless, great service and the boss was so nice to give me free sample of his homemade cake (I assume) despite me only ordering one red tea and one mango dessert!!! Did not try the regular food, so unsure of that. Also for non-Chinese fans, please note that the menu is in Chinese only. Did not ask if there was an English menu. To be honest, I did not go into the place itself and only saw it along the road itself, as a local friend told me that maybe schoolkids and couples ‘in the heat’ will sometimes go there for hanky-panky and I wasn’t too sure if I really want to go in upon hearing that. Anyhow, there was no purpose for me to go in if I was not going to watch a movie (haha!). There are a few movie theatres around the same area at this movie room. Please note that for those sites in Taipei, it is not in the same area and are at different ends of the city, so you need to plan your itinerary carefully. I planned other stuff to do in between visiting the sites. 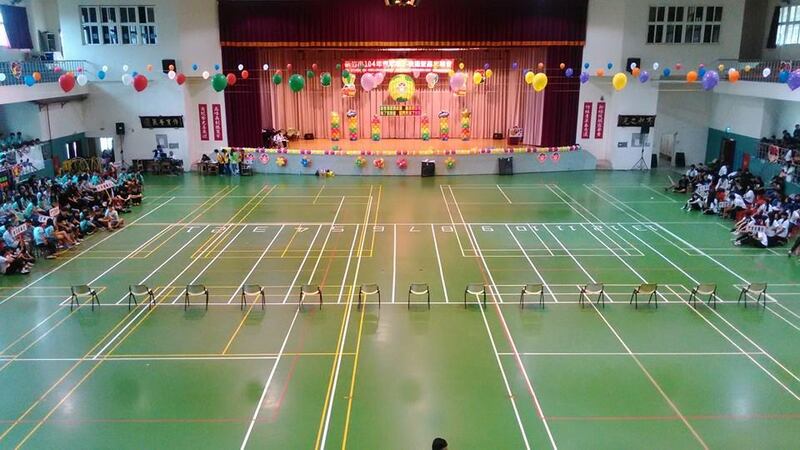 Also, you might want to cover another city or stay in Hsinchu if you plan to go to Hsinchu to visit the school. Thank you for reading and please update if anyone else have visited the sites! Hi Adnee, thank you for your comment but I’m sorry to inform you that I have not visit these locations before. Thus, I am unable to recommend an accommodation for you. Good luck on your planning! Hi there, I’ve dropped the guy an email with your email. Let’s hope he replies! Hi there, I’m afraid I have not done any research on her house and the hospital. Sorry that I’m unable to help. I stayed at the Park Taipei Hotel which is very conveniently located in the center of the city and the Daan MRT stop is right outside the front door which makes it so easy. It is easy to access and transfer to the lines that would take you to the bookstore, coffee shop and outdoor skating locations. I’m not sure but you can try to contact them and see if they will reply you. I am a 65 year old guy and this film just blew me away!! I cannot stop watching it or listening to the beautiful love song from it. I think all my life, I have been looking for a film as romantic and beautiful as this and I found it here. Oh, I have seen some incredibly beautiful and romantic films such as Dr. Zhivago and Heaven Can Wait but this film stands by itself to me. The scenes at the outdoor skating park were some of the most wonderful scenes I have ever watched, actually….they were the most romantic scenes I have ever seen and when I go to Taiwan this spring, I will go there for sure. I cannot thank you enough for providing all the wonderful info that you did. 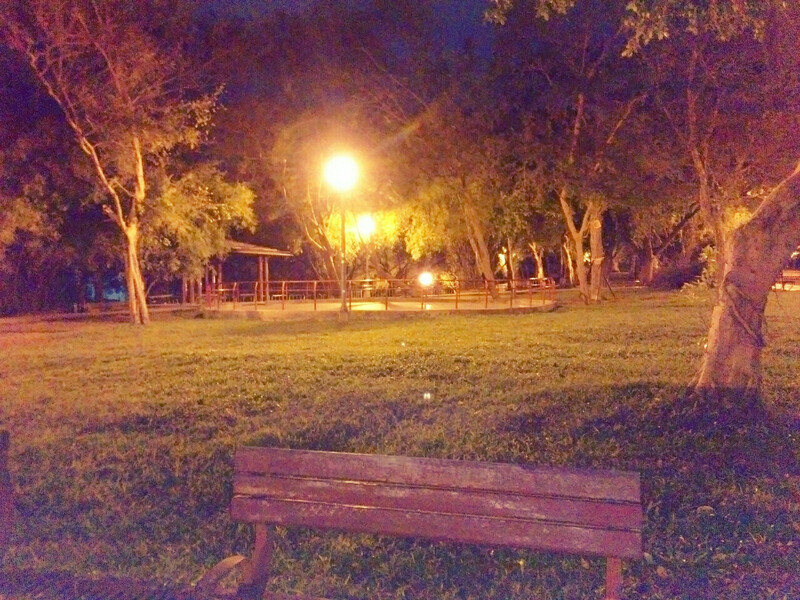 As simple as it seems, it will be like a dream for me to visit this park……thank you so much! Hi there, thanks for leaving a comment and I’m glad that you found this post useful! If you do visit eventually, do remember to come back and share some tips with the readers! Oh, I absolutely will! I will be most happy to share my experience. I recently came back from Taipei and visited 3 of the locations from the film. Many thanks to you and also Ron Tan for providing the addresses’ and some commentary from Ron about the places. The directions are spot on! 1) Went to Muzha Park to visit the outdoor roller rink. Of the 3 stops, this was not as up to par as the other two. The rink is there but there appears to be some new concrete structure where the bench that Lin Zhenxin sat and listened to the cassette. It really was not that much to see. 2) The coffee store. This was great! Ron Tan was right about how nice the owners are! The man gave me a picture of Lin Zhenxin sitting at the table (a nice color 4 x 6 ) and we took a picture together and later when I made a copy of the picture, I went back and gave it to him and he pinned it up on his bulletin board. There is also a small movie poster on the outside of the shop. When I went there with a friend, there a guy sitting at the “study table” but the owner kindly asked him to move so we could “re-create a picture” ..the guy was really nice and did not mind at all. This place is really great, and relaxing. I even went back a third time, just to have some snacks and a soda and the owner actually went out to a local 7 – 11, just to get me a coke! This place is 5 stars all the way! 3) The Bookstore Just as great as the coffee shop. There is an Andy Lau stand up cut out but it is inside the window but still very visible. The owner was really friendly as well and we took many pictures with him and we even recreated the picture where he runs to the front of the store and tells Taiyu and Lin to scram and points is finger at them. He was more than happy to do it for us! This place is 5 stars all the way as well. Thanks for returning back to my blog and giving a review of your visit! Your information will be useful to the other readers that end up on this page =) I’m glad that you enjoyed most of the filming locations and I hope that you enjoyed touring taiwan too. Thanks for this! I recently saw the film and just in time I’ll be going to Taiwan next month. Unfortunately, I’ve planned my itinerary already but will try to go to some of the shooting locations. I also started blogging mostly pictures only so I”ll try to post and share if I am able to go to some of the locations. Love your blog by the way. Will read your other stuff as I also love travelling. The Taipei locations might be easier for me to visit. Thanks Ron and Walter for the tips. Ahh yes, thanks. Lol. I’m more into Kdramas since then. However, I really really love You Are the Apple of My Eye. <3 Although, Our Times might be my current fave and will be for a long time. 🙂 Actually, I saw Vivian's first film then saw her Our Times in her filmography that I had to check it out. Good thing I did! Yep.. I’m into K-drama too but maybe 8 to 10 years ago I was into Taiwan Dramas.. I like TW dramas (Autumn’s Concerto, etc)! I need to watch some old ones. I’m currently dling FTLY. Meteor Garden was a big hit here in my country. 🙂 Btw, I just sent a message to the school thru FB. Let’s see if they will reply. I’ll try to visit before I go to Chiayi. If not, there’s always next time to travel. Haha I watched FTYL too. Are you watching the korean or taiwan versions? both were good~ good luck on contacting the school! Philippines. 🙂 Nice to meet you. Btw, I just received a reply from the school. Omg. So it’s confirmed that they can only accommodate visitors during weekend. Thanks for writing in to request the permission for visiting our school. Basically, the school is open to visitors on the weekend. You’re very welcome to see the campus and I hope you enjoy your trip. One thing to remind you is parking is not provided. Please pardon us for any inconvenience. Hello, there was a contribution from a reader who contacted the school with regards to entry. Do you know where they filmed the camping scenes? the scenes where they sitting around the fire? Hello, I am not sure about the location of the campsite. Hopefully someone else can help you with this. I’ll leave this question open in the comments section. Hello there. When searching for the location, you can try copying and pasting the chinese characters (小歇泡沫紅茶) to map out the location. Hope you get to find the Cafe! Hello! As of today, is the cafe closed already?